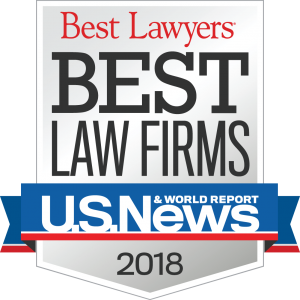 The law firm of Coward, Hicks & Siler, PA, has been proudly selected to the U.S. News – Best Lawyers in America “2018 Best Law Firms” as an Asheville Metropolitan Area Tier 1 Ranked law firm in the area of Family Law. The 2018 Edition of “Best Law Firms” includes rankings in 75 national practice areas and 122 metropolitan-based practice areas. The U.S. News – Best Lawyers “Best Law Firms” rankings, now in its eighth consecutive year. For a concise explanation of the methodology for inclusion in U.S. News – Best Lawyers “Best Law Firms” visit the Best Law Firms website at http://bestlawfirms.usnews.com/methodology.aspx. Coward, Hicks & Siler has been included in the Best Law Firms’ list continuously since 2015. Monty Beck is a North Carolina Board Certified Specialist in Family Law. Limiting his practice to the narrow, specialized issues surrounding marriage and families, Monty has long enjoyed the opportunity to guide people across western North Carolina through divorce to new phases of their lives. He is an AV Preeminent Peer Rated Lawyer from Martindale-Hubbell, is included in North Carolina Super Lawyers™ and Best Lawyers in America Family Law Section. He has been practicing law for more than 30 years. Established in Sylva in 1951, Coward, Hicks & Siler, P.A. is one of the most broadly-respected firms in Western North Carolina, offering the talents of seven attorneys in three locations: Franklin, Sylva, and Cashiers. Coward, Hicks & Siler, P.A. is a general practice and litigation firm, focusing on family law, real estate, eminent domain, environmental litigation, estate planning and administration, corporate law, business litigation, personal injury, appeals, Indian law, and civil mediation.